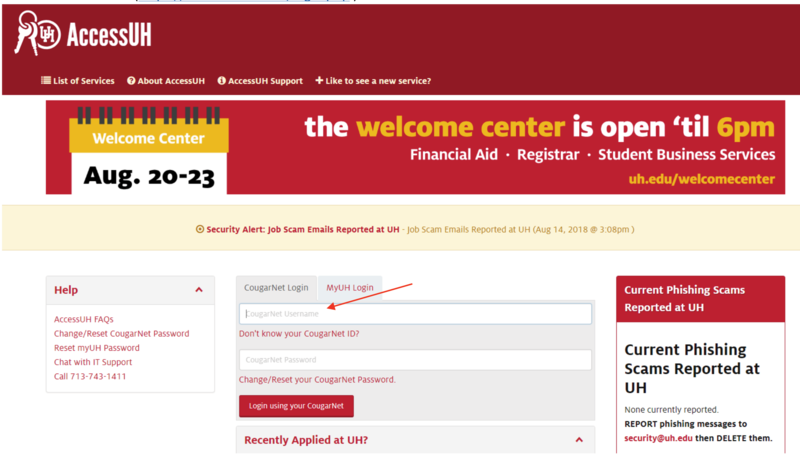 Add cash to your cougar cash account by logging into your AccessUH (https://accessuh.uh.edu/login.php) account. Click on the Cougar Card icon. Select the Add Cash option on the menu. The next screen will allow you to select Cougar Cash or Flex Dollars. 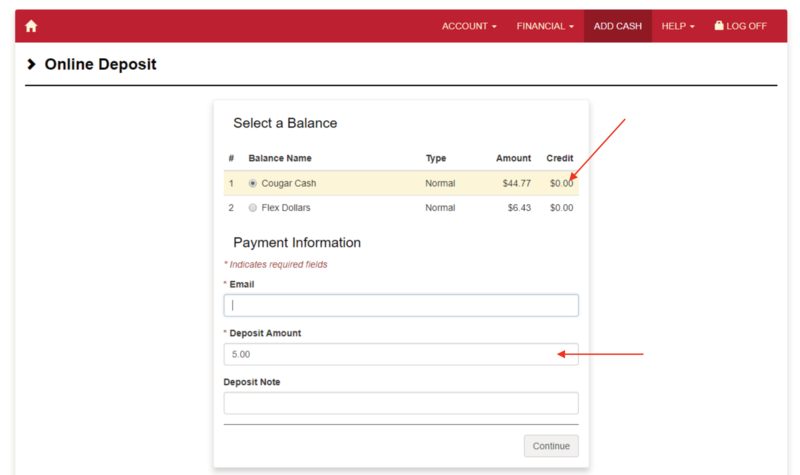 Select Cougar Cash, include your email information if it did not populate, add the deposit amount for this transaction, and click ‘Continue’. The next screen is for your credit card information. 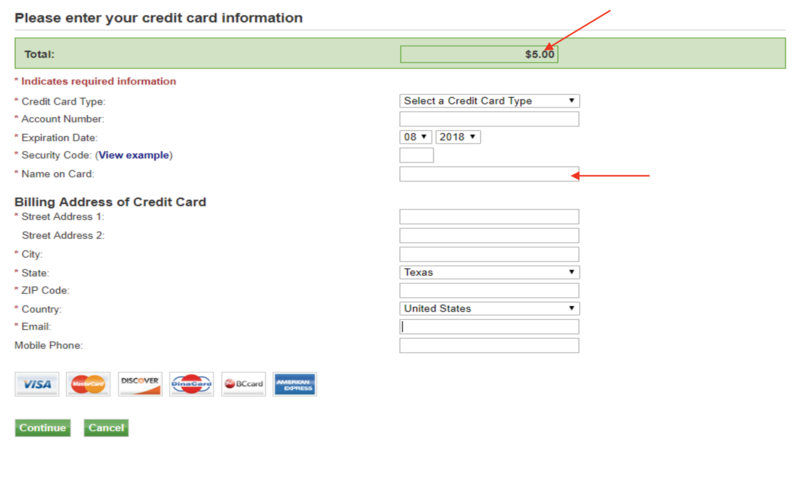 Confirm the total amount from the previous screen at the top before entering your credit card information. Click Continue. 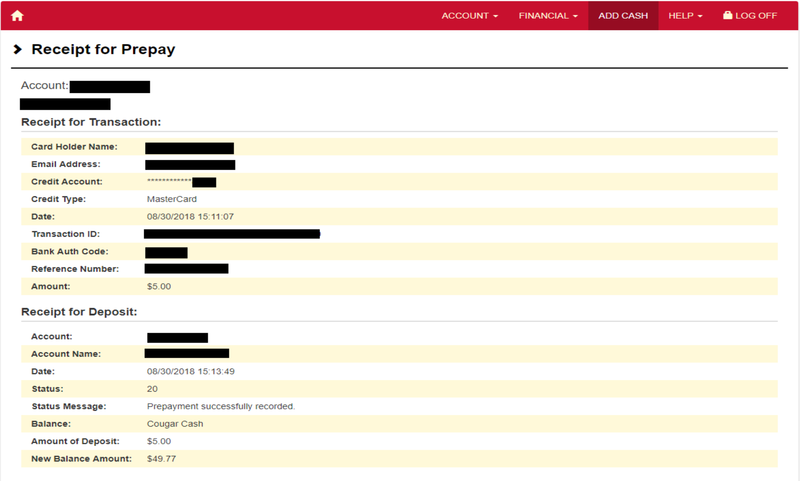 A confirmation screen will be displayed with a receipt for the transaction and for the deposit account. Please confirm that all of the information is correct. 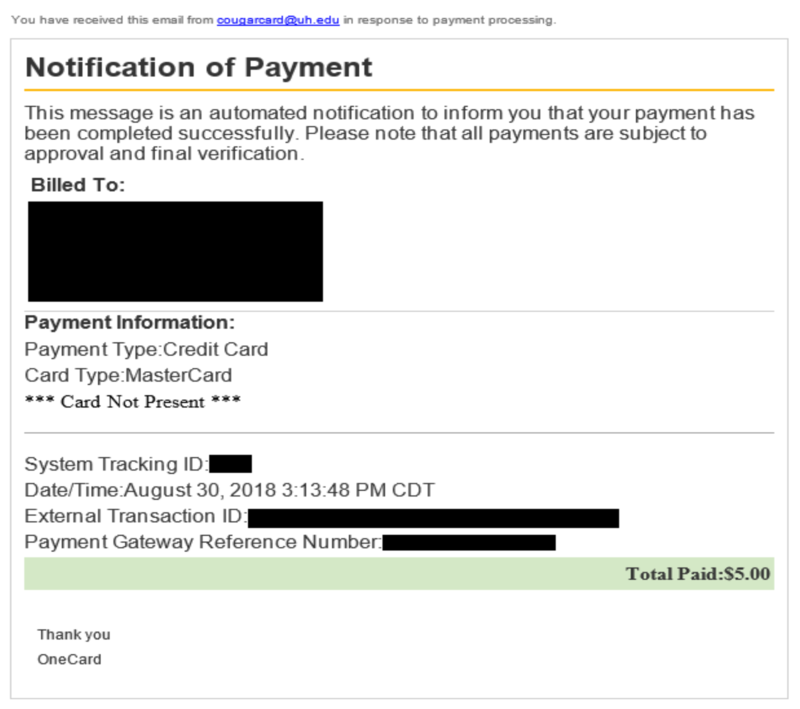 You will get a confirmation email with a notification of payment for your credit card. Please confirm that all of the information is correct.